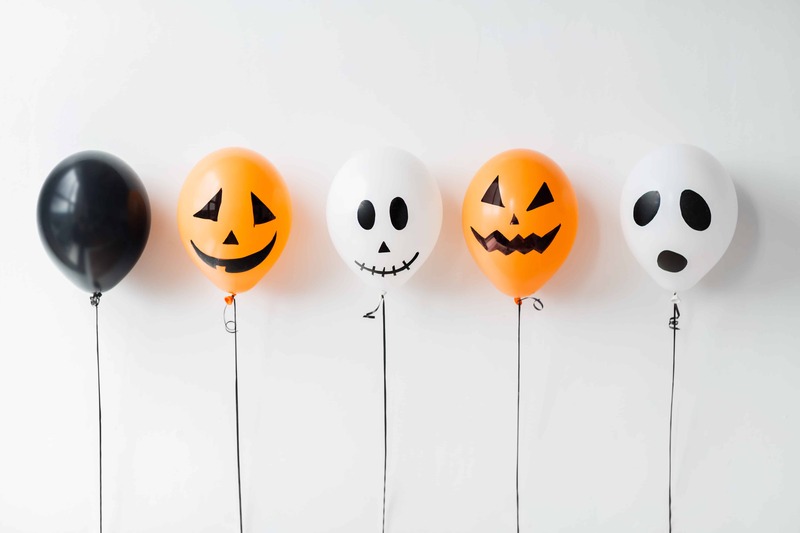 Whether you’re looking for trick-or-treating alternatives—or to get your Halloween on all month long—we’ve got eight ways to have fun and make Halloween memories with your kids this year. You may have heard of, or observed a decline in door-to-door trick-or-treating. 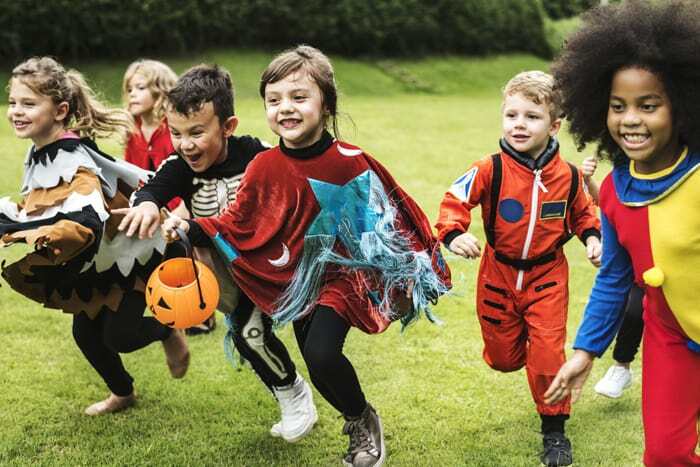 Survey data from the National Retail Federation (NRF) suggests it’s true that fewer and fewer families are taking their kids trick-or-treating each year. But for the past 14 years, NRF survey results have also revealed that consumers are spending more and more money on Halloween related items. So while trick-or-treating may be on the decline, Halloween isn’t dead or dying—it’s just evolving (like a tiny transformer). While some may get nostalgic for the days of unsupervised trick-or-treating, it’s probably a good thing that our Halloween traditions have and continue to evolve. Take for example the history of the “trick” in trick-or-treating. In the early 1900s, Halloween was a day of widespread mischief, especially vandalism. By the 1950s, postwar families and neighborhoods had reclaimed the day by offering free candy. In just half a century, American Halloween traditions transformed from obnoxious and destructive to neighborly and peaceful. It’s possible that door-to-door trick-or-treating may someday vanish like a ghost through a wall, but that doesn’t mean Halloween is disappearing. Alternative Halloween festivities and activities are popping up everywhere. 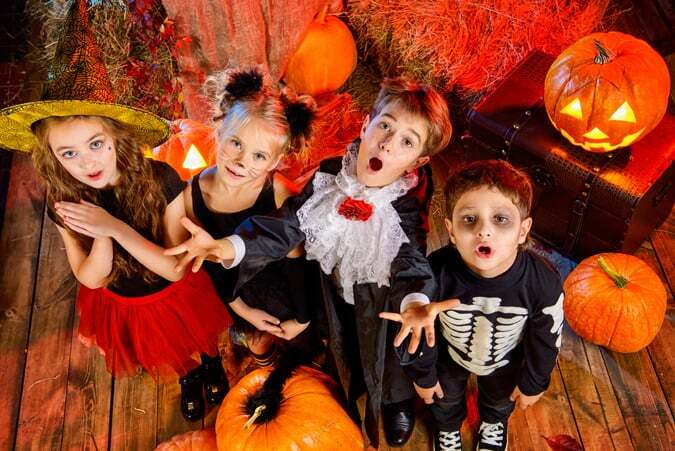 From malls to farms, there are loads of fun trick-or-treating alternatives to choose from. Trunk-or-treat—This one is about as close to the original as you can get. Many schools, community organizations, and churches host trunk-or-treat events where kids can collect treats by walking from trunk-to-trunk in a parking lot. Best part? The impressive trunk decorations. Age appropriate: Kids under 12. Mall trick-or-treating—Lots of malls are getting in on the trick-or-treating scene. 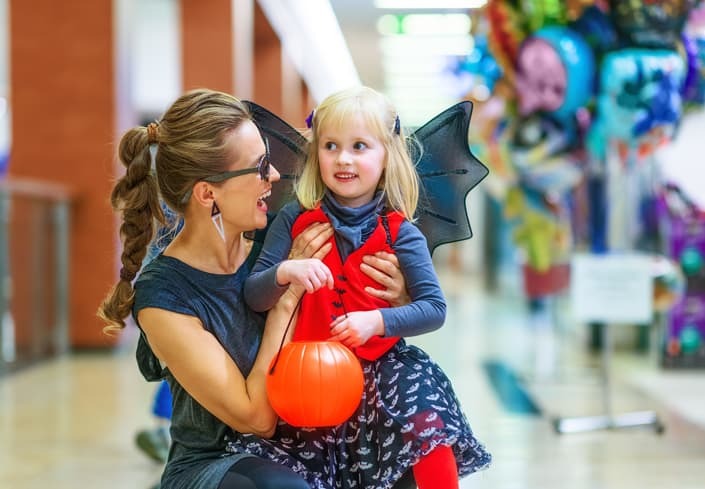 In colder climates, malls can offer families a warm environment in which to bag that candy. Best part? You can shop while your little one trick-or-treats. Age appropriate: Kids under 12. Halloween-themed treats and a movie—Make staying-in a special occasion with a themed movie night. This comprehensive best-of-list from Good Housekeeping can help you pick an age-appropriate Halloween movie. For a festive snack, we love Halloween popcorn hands, brain popcorn balls, banana ghost pops, and Jack-O-Lantern orange fruit cups. Best part? You control the sugar content of the treats. 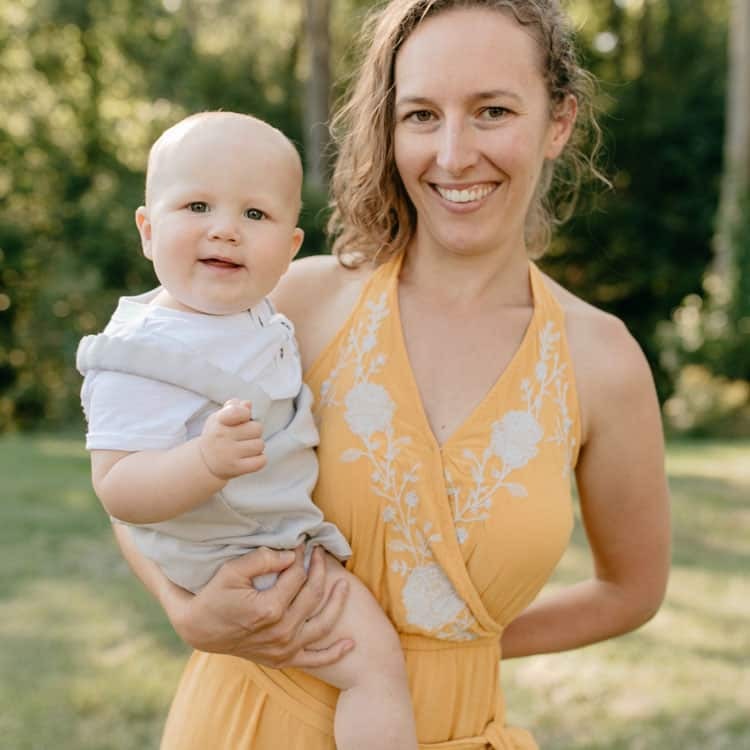 Age appropriate: All ages. Halloween themed get-together—Start a new tradition by hosting a Halloween gathering with family and friends. You can even get thematic with a BBQ themed Halloweenie roast! Kids and adults alike will love bobbing for apples, carving or decorating pumpkins, and taking a swing at a pumpkin piñata. Looking for festive food inspiration? Check out this curated list of Halloween snacks from Good Housekeeping. For Halloweeny main dishes we love toxic waste mac and cheese, spiderweb pizza, and Halloween cheese burgers. Best part? Spending time with family and friends…and the food! Age appropriate: All ages. Amusement park Halloween events—Many amusement parks go crazy with fall and Halloween themed attractions. From redecorated rides to trick-or-treating events, check out amusement park offerings close to you. If you want to make a trip out of it, our friends at Red Tricycle highlight 14 Amusement Parks That Are Way Better in the Fall. Best part? Amusement park rides are thrilling for adults too. Age appropriate: Kids six and older. Halloween on the farm—From pumpkin patches to haunted corn mazes, farms offer seasonal fun for little ones of all ages. Traditional hayrides and corn mazes are perfect for kiddos not looking for a fright. For older kids and teens, haunted corn mazes and zombie paintball are memorable. Best part? Being outside. Age appropriate: All ages. Reverse trick-or-treat—If you dread seeing your kids lug around a pillowcase full of candy, consider starting a new Halloween tradition by volunteering at a local food pantry. Among other benefits, volunteering provides families with an opportunity to work together, problem solve, and communicate in new ways. You could also participate in a trick-or-treat food drive in your area or host your own. Best part? Helping other people in your community. Age appropriate: Kids six and older. Glow bowling—When your kids start to outgrow trick-or-treating, glow bowling—also known as galactic bowling, cosmic bowling, and blacklight bowling—can be a fun Halloween alternative. Kids can still wear costumes if they want—The Dude and Jesus from the Big Lebowski would be venue appropriate options. Best part? Keeps kids out of trouble (probably…maybe). Age appropriate: Kids ten and older. 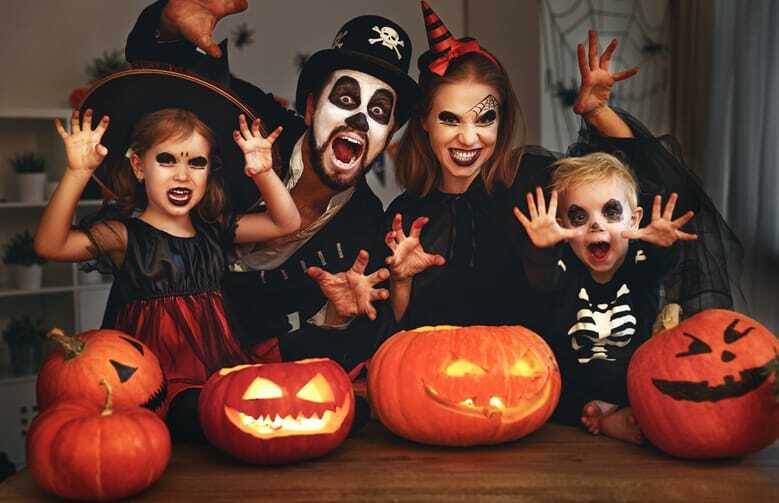 What Halloween traditions does your family observe? 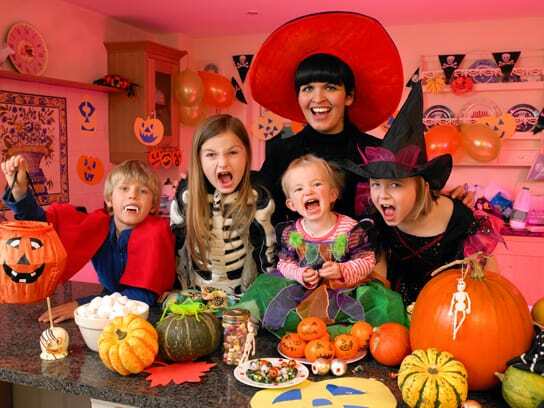 What trick-or-treating alternatives do your kids love? Let us know in the comments below.